The largest project that Jack had the pleasure of working on during his time with ESPN Milwaukee and Good Karma Brands was creating a simulated radio show titled "Jack & Bryan." The idea of the project was to simulate a professional radio show, where he'd be able to improve as an aspiring sports journalist/broadcaster and understand how a professional radio show operates. Together, ESPN Milwaukee's Content Director Bryan Dee and Jack completed five episodes total. Feel free to download, listen and leave comments or questions regarding the project. I began my time with Good Karma Brands and ESPN Milwaukee on June 1st, 2018. I was one of eleven interns for the summer semester and we were expected to participate in all aspects of the company. For example, although I wanted to focus mainly on the content being produced within the company, I was required to learn about and work with more teammates (coworkers) that focused on either financial, sales or marketing as well. Although I continued to spend most of my time in the office focused on content, I did learn a little bit about the other aspects of the company and each of their importances. 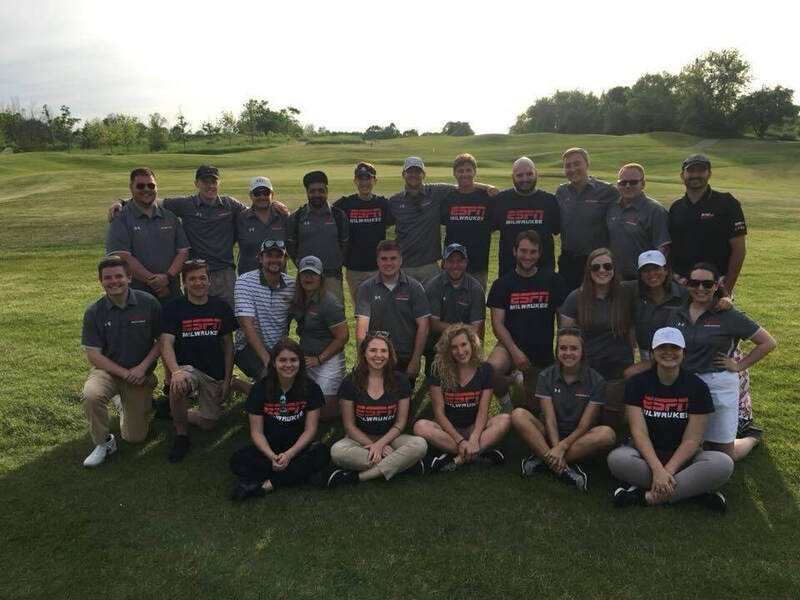 Throughout the first half of the semester, my role as a teammate/intern was to complete various electronic assignments regarding Good Karma Brands and ESPN Milwaukee. However, once the second half of the semester rolled around, I was allowed to work more with teammates pertaining to my desired career field (in this case, content). I got to record practice radio segments with one content director and improve my skills within radio broadcasting. I also began writing practice SportsCenter updates that would be used for radio shows in order to help improve my skills with sports writing. All the while, I worked several events for ESPN Milwaukee and promoted both the Good Karma Brands and ESPN brand. Overall, my first ever internship was a wonderful experience and I look to carry what I have learned from this opportunity onto the next one, hopefully in the near future.